A skier maneuvers through powder at Canaan Valley Ski Resort. Photo courtesy Canaan Valley Resort State Park. For the third consecutive year, Canaan Valley Ski Resort in northern West Virginia has dominated the Liftopia “Best in Snow” awards program for the southern U.S., which includes ski resorts in Maryland, Virginia, West Virginia, and North Carolina. The resort was named No. 1 in the Beginner-Friendly, Most Challenging, Least Crowded, and Snow Consistency and Quality categories and No. 2 in the Family-Friendly and Best Value categories, according to Steve Drumheller, general manager of the resort. “We work hard to offer a superior and consistent skiing experience throughout the season, and we are grateful that people appreciate our efforts in the form of these awards,” Drumheller said. The awards are based on surveys of thousands of customers, and Liftopia reports receive responses from thousands of skiers throughout the country, Drumheller said. In the Allegheny Mountains in the highest mountain valley east of the Rockies, the resort is a favorite of mid-Atlantic skiers, in part because of its proximity to Washington, D.C., a 2.5-hour drive east. 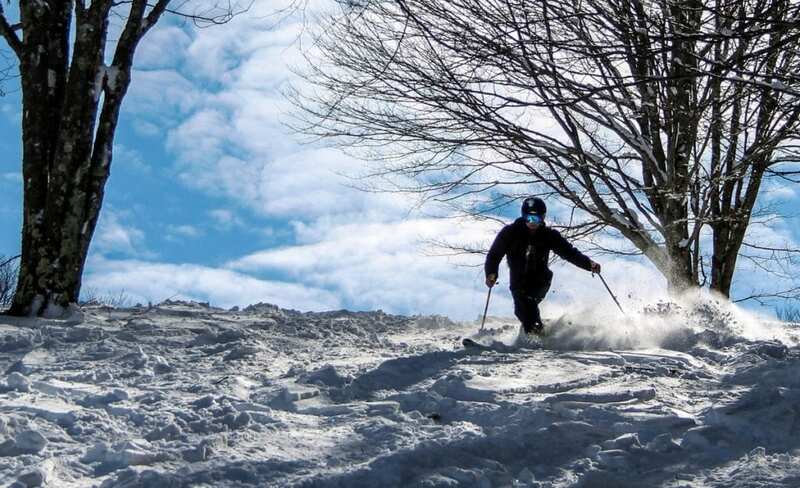 Canaan Valley Ski Resort offers 47 slopes and trails and a mix of terrains. It’s also home to one of the longest Tube Parks in the mid-Atlantic region, with multiple lanes running 1,200-feet long. The covered outdoor ice skating rink offers sweeping views of the valley and mountains. There are also 30 kilometers of cross country skiing and snowshoeing trails. Indoor activities at Canaan Valley Resort include indoor swimming pool, multiple game rooms, whirlpool, sauna and crafts. The resort also offers an array of special events throughout the year along with a variety of packages and deals on lodge rooms. Skiers can save on a season pass now available online for the resort’s 2019-2020 ski season. The single season pass is priced at $249 if purchased by the end of April. Liftopia operates the largest online and mobile marketplace and resort-technology platform serving the ski and mountain activity industry. Skiers and riders can purchase lift tickets, equipment rentals, meal vouchers and more from more than 250 ski areas in North America on Liftopia.com with savings of up to 80 percent off walk-up window rates when purchased in advance. The brand created the coveted “Best in Snow” awards in 2016, using a detailed survey combined with a proprietary dataset to rank the North American ski areas about which customers are most passionate.